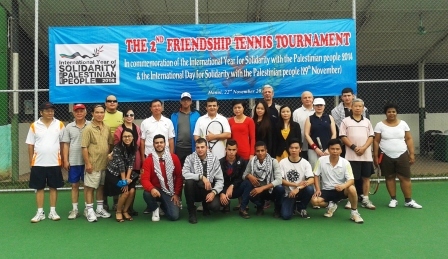 Hanoi – In commemoration of the International Year for Solidarity with the Palestinian people 2014 and the International Day for Solidarity with the Palestinian people (29th November), the Embassy of the State of Palestine and the Vietnam-Palestine Friendship Association of Hanoi co-organized the 2nd Friendship Tennis Tournament in Hanoi last Saturday, 22nd November 2014. 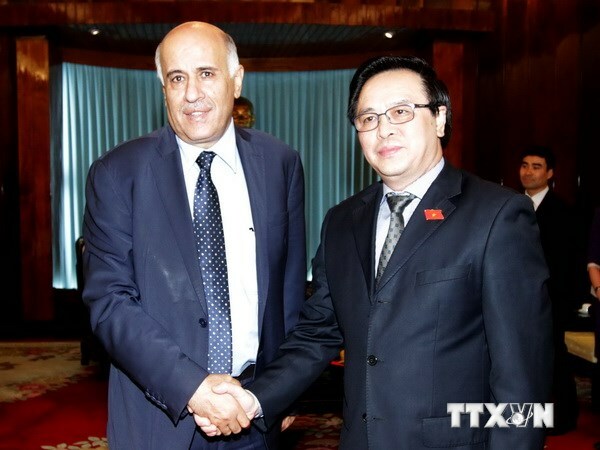 Hanoi (VietnamPlus) - Standing Deputy Secretary of the Central Committee’s General Secretariat of the Palestinian National Liberation Movement (Fatah), Jibril Rajoub, has promised to do his utmost to boost Palestine’s friendship and cooperation with the Vietnamese Party, State and people. 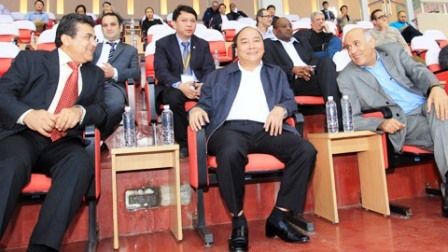 Hanoi – On November 9th 2014, on the occasion of the friendly football match between Palestine National Team and the host, Vietnam National Team, Mr. Jibril Al Rajoub - Standing Deputy Secretary of Fatah Central Committee’s General Secretariat, President of the Higher Council for Youth and Sport of Palestine, President of Palestine Football Association - accompanied by Palestine Ambassador to Vietnam Saadi Salama - paid a visit to Vietnam Football Federation (VFF) and had a meeting with leaders of VFF. 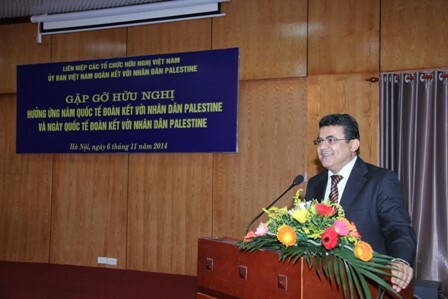 Hanoi – In commemoration of the United Nation’s International Year of Solidarity with the Palestinian People 2014 and the International Day for Solidarity with the Palestinian People (November 29th), the Embassy of the State of Palestine in Hanoi, in coordination with the Vietnam Union of Friendship Organization, launched the 2014 solidarity activities on November 6th, 2014 at a meeting and film screening in Hanoi. 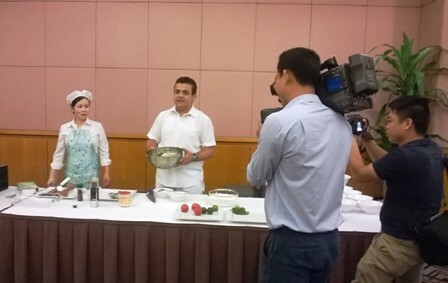 Hanoi – Palestinian Ambassador Saadi Salama introduced the national dish Maqluba to international friends at the Gastronomy Activity co-organized by the Diplomatic Spouses Committee at Melia Hanoi on 14th October 2014.